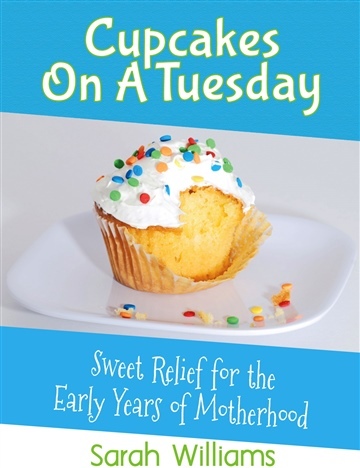 Cupcakes On A Tuesday is an honest depiction of the early years of motherhood. Having birthed four children during the height of the Mommy Wars and raising them in the Culture of Perfection, Sarah Williams knows what it's like to be well-acquainted with all of her shortcomings while other moms seem to have it all together. Having navigated motherhood through learning lessons the hard way, Sarah will bring relief to your journey as a mom. If motherhood is harder than you ever would have imagined, this book will encourage you that you're not alone. As she openly shares her struggles and parenting mishaps, you will realize that you're doing a much better job than you think. Sarah articulates the not-so-precious parts of raising children in a relatable, compassionate way. Unlike other parenting books that highlight what you're doing wrong, Cupcakes On A Tuesday will bring you sweet relief and remind you of all you're doing right.